The telecom industry has switched from primarily installing large, macro cell towers to deploying significantly more “small cell” towers (5G). 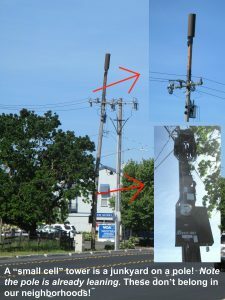 The following information is focused on the “small cell”, but the “how to oppose” can apply to larger towers too. The Federal Communications Commission and the federal government have been promoting and supporting rapid expansion of 5G. Some states have already passed laws forcing them onto communities. However people are pushing back and defeating installations. 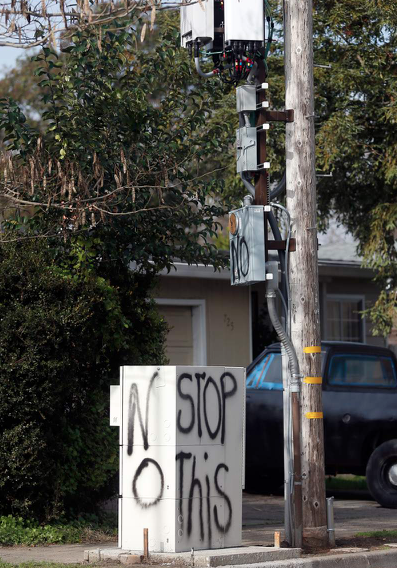 In Hillsborough California 16 cell towers were denied. Danville CA denied Verizon based on the placement was not the least intrusive means. (see video excerpt below). In California SB649, which would have restricted cities ability to regulate 5G, was vetoed by Governor Jerry Brown. The industry wants wireless everywhere with “small cell” towers every couple hundred feet apart! That means cell towers in our neighborhoods, near schools and parks, where we live, work and play. The industry vision for 5G is to enable the Internet of Things, Smart Communities, driverless cars (and more), where roads and appliances (even baby diapers!) are embedded with wireless radiation transmitters that connect to cell phones, smart meters and the internet. We need a moratorium on 5G, and we need to reduce wireless radiation throughout our communities. Keep a watch on your [city or county] planning or permit department for applications for “small cell” towers. You’ll need to call the city or county to find out who handles the telecommunications applications. Note they might deny the “small cell” is 5G. Educate and engage the community about EMF/wireless health risks. Here is a brochure about EMFs you can use to start a conversation. Mobilizing other people to get involved to take action is important. Even a few people can make a big difference. It is important to educate decision makers on the science of harm, because this will motivate them to find ways to deny the application. People can also argue aesthetics, location, loss of property value and no significant coverage gap. Santa Rosa on Link Lane, this one is partly dismantled due to resident protests and the city halting the installation. 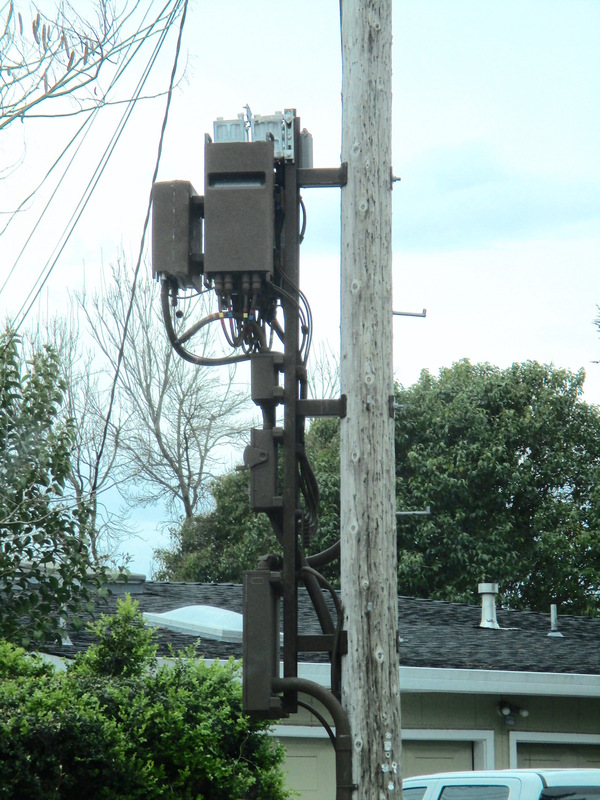 “Small cell” tower is a junkyard on a pole! In reality these often do not look like the representational drawings the industry presents. Click on the photos to the left for a closer look. Create a flyer to circulate to let people know what’s happening and where to complain. See this sample flyer to adapt and create your own. Donate! Your donation will help support and expand this important work. To donate via Paypal (or credit card) click on the yellow button below. For more information on how to donate by check or for non-profit donations click here. 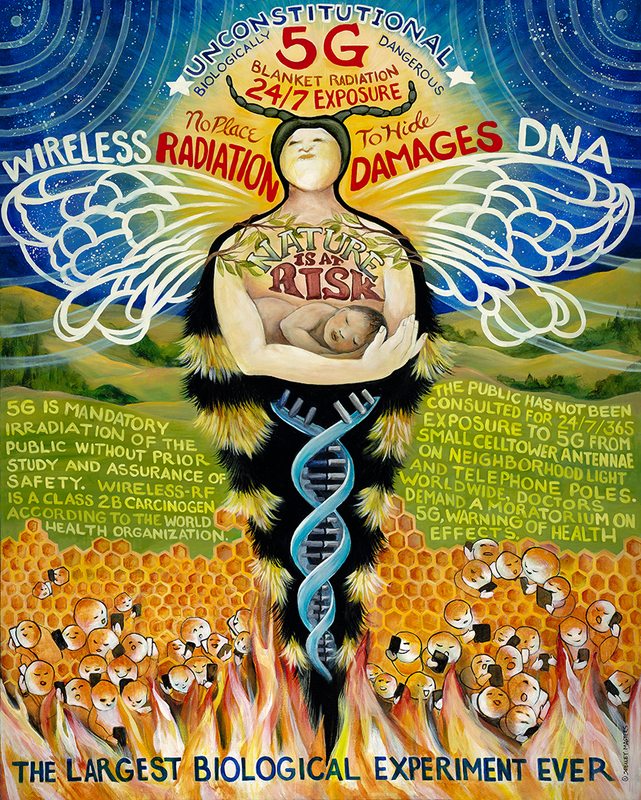 Make posters of Shelley Masters 5G Artwork (see image above) and ask shop owners to put them up. To obtain a higher resolution file for reproduction contact emfsafe at sonic.net. Make use of social media, online community bulletin boards to warn others about where the towers are planned and where to complain. Send letters to the editor of your local newspapers. Table at a farmers market, or simply go to a farmers market and hand out flyers. Thank you for your support and let us know the outcome of your action! Unlocking the door: How to successfully get through to people about wireless radiation. I will pray for everyone !!! 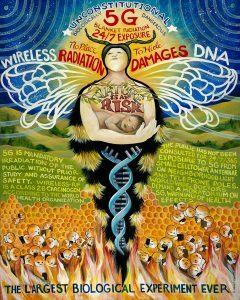 One minute standing in sunlight, which is over 1,000 watts/sq meter, is more than 10 years of radiation from a 5 G cell tower. It is also of a higher frequency for the most part. Further more neither one is harmful in moderation. Consider, too much water will drown you but too little and you will also die. What is too much of anything? Please consider power levels which I notice you ignore. Paul, the radiation is inescapable, and would always be present. How would you suggest we use it in “moderation”? When they show you scientific, peer-reviewed proof that it is extremely harmful, why would you argue otherwise? Add common sense, and think about it …To those that always have to bring up “the rich”, please stop! Such a tired, ineffective attempt to divide. We need to unite and solve. I’m pretty sure no one wants to bake in the EMF’s- so let’s get it stopped. I don’t care about who has the most money. Our mission should be to stop those doing the most EVIL, (and there is a difference). From what I know the Earth heals us, but we still mess it up. This must be be stopped. I don’t see it any other way. I’m a systems engineer. I’m very concerned about 5G FR2. FR2 is going to use the 24Ghz – 86Ghz spectrum. We are not talking Wifi 5Ghz.. it’s much higher than that. I guess one way to explain the danger to a non techie is the higher the frequency is, the lower power needs to be to penetrate organic tissue. I told my wife if 5G rolls out in our town maybe it would be time to check out her Grandfather’s property in St. Michaels. 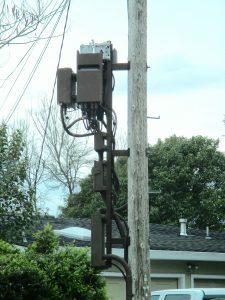 If 5G does get rolled out and there’s a damn 5G antenna outside my house, I’ll sue the wireless carrier for the loss of value to our property. Maybe if everyone sues them it would be a deterrent to a 5G roll out. The Wireless Telecom industry brought some good but a lot of bad to society. It’s a social disease. People are too addicted to their smartphones. 5g is comprised of what is known as “nonionized radiation”. This means it is not capable of damaging DNA, the way uv and other ionized radiations do. Further, there has never been a single sickness or cancer attributed to cellphones. Brain tumors have risen by 34% in the last 20 years, but doctors believe this increase reflects our ability to find them better due to increases in technology, rather than a genuine increase in existing tumors. This article is fear mongering and lacks any backing evidence beyond conjecture and hearsay. Crazy. I work in the industry and this is pseuodo-science. Not all 5G is created equal. One carrier it launching at 600Mhz as an example. Cell phones have been in use for decades which is ample enough time to see long term studies. The amount of “radiation” coming from a modile handset is less that half of a microwave oven at much less power and roughly 1000x that of a FM radio transmission. You have RF everywhere from everything. Radio, television, wi-fi, bluetooth, walkie talkies, satellites, etc. It just goes and goes. Small cell is a way to enrich the end user experience by removing the bottlenecks and bring service to the user. The more compression and the higher the frequency the less penetration the signals have. A high compression frequency does not penetrate buildings, trees, etc very well so small cell is put into place to ensure good service in an area that has more users or has a weaker signal. There are also TONS of sites (towers) you dont even know about because they are hidden. Please, do your research because this is almost as bad as flat earth logic.